Watch the full "Foreigners Who Love Algeria" episode on YouTube. Last night, Algerian television channel El Djazairia One aired a 90-minute edition of its regular Arabic-language talk show "People and Stories" ("Ness w Hyakat - ناس وحكايات") on the theme of "Foreigners Who Love Algeria" ("أجانب يحبون الجزائر"). Speaking Algerian: It's all in the hands. The host then spent much of the show lobbing us softball questions about our favorite local foods, music, and words. While not explicitly avoiding them, the production team never brought the conversation around to our negative impressions or asked us what problems we observed here. Algeria's trash-strewn streets, neglected historical sites, Kafkaesque bureaucracy, dearth of cultural outlets, sub-par health and education systems, absence of economic and social opportunities for young people, and other shortcomings simply didn't come up. The discussion's positive tone prompted numerous Algerians to later comment online that of course we love Algeria, as foreigners with the means to live well and to leave at any time, unlike the locals who suffer those hardships each day. They're not wrong. 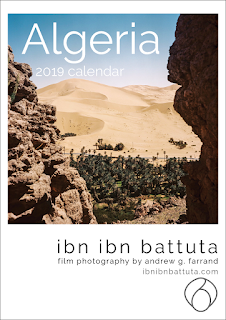 Algeria is a place where the right means can allow you to live comfortably, thus avoiding many of the daily challenges that ordinary citizens face. So isn't a show like this just a white-washing of the real Algeria? I don't see it that way. 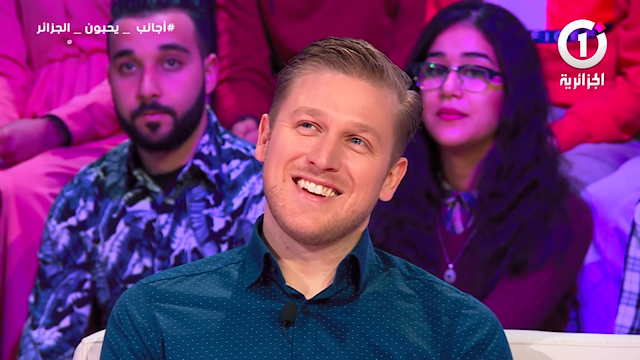 I was glad to appear on the show, which I view not as a white-washing but rather as an effort to remind Algerians of their country's unique value. As I said during the show, sometimes it is useful to hear a foreigner's perspective on our own country, since it can reveal truths that we ourselves hadn't noticed. This is especially true in Algeria, where so many have experienced so much frustration, tried for so many years to push against the system, and eventually given up. Today, many Algerians deplore the shoddiness, the filth, the mediocrity all around them, but have decided that they are powerless to influence their surroundings. With time, their frustration subsides into disgusted resignation, and they chose to leave—either mentally (by slipping into a numbed state of apathy) or physically (by emigrating, usually to Europe, as millions have done). But nothing will make Algeria slide more deeply into mediocrity than the creeping acceptance of mediocrity. Sure, Algeria isn't perfect, just like America isn't (another point I emphasized on the show). But if a few foreigners can come along and remind Algerians that there are great things about their country, that they're not crazy for loving it, and that a better version of it is still worth fighting for, I'd call that worthwhile, not white-washing. Thank you to the El Djazairia One team for this opportunity. Arabic speakers can watch the full episode on YouTube. Unfortunately, English subtitles are not available at this time. It's very interesting what you brought up here. The state of utter apathy many Algerians are in baffles me too. It shows surrender and passiveness. It contradicts the sense of patriotism that Algerians take so much pride in. 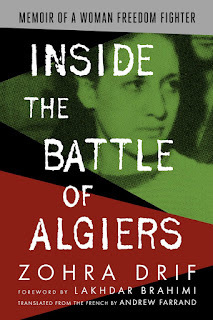 For me, as an Algerian citizen, Algeria is hopeless. Corruption is everywhere. The director's cousin is getting that job you're the best qualified for. A specialized physician who studies for 12 years after finishing highschool is paid 170% the salary of a security guard who has not finished highschool. Free mediocre education, free mediocre healthcare, etc. For me leaving this country is a life goal. I have not contributed to its failures. I am a student about to graduate, I respect the law, and I accepted everyone. Over all I have been a good citizen, so why would I take responsibility for their failures? I do not believe in nationalism and patriotism. All I believe in is working hard and earning a better life. En ce qui concerne mon point de vue, je suis un peu mitigée concernant cette question. D'un coté, y'a des gens qui ne font rien dans leur vie, qui ne se secouent même pas pour améliorer leur situation, mais qui se justifient en rejetant la faute sur le gouvernement. Mais d'un autre coté, y'a des personnes qui sont vraiment ambitieuses, mais qui malgré leurs efforts n'arrivent pas à leurs fins car on leurs met des bâtons dans les roues. Et je connais des personnes, vraiment, qui ont un très grand niveau et qui ont eu plusieurs occasions pour aller à l'étranger, mais qui malgré cela sont revenus pour servir leur pays. Vraiment, chapeau à ces personnes là. Moi, en tant que futur médecin, j'ai choisi de vivre pour les autres et je m'en fiche si je dois laisser le luxe de coté. Et je ne vais pas rester dans mon coin à pleurnicher et à attendre que le gouvernement fasse quelque chose pour moi. Si Dieu le veut j'améliorerai moi même mes conditions de travail. Beaucoup d'Algériens l'ont fait, alors pourquoi pas moi? C'est dans mon pays que je me sens le plus à l'aise et je ne dirais jamais au revoir à ma famille et mes amis. Tu mérite tout le bien Andrew. bonne continuation. Bonne continuation. Une émission très intéressante. Bonjour ANDREW, je te dis merci pour ce sourire qui ne vous a pas quitté durant toute l'émission, un vrai rayon de soleil. j'aimerai bien retrouver ce même sourire sur le visage de nos jeunes Algériens et retrouver une lueur d'espoir dans leurs yeux .Mais comme vous l'avez si bien expliqué dans votre judicieuse analyse, il reste beaucoup à faire pour un vrai changement mais il ne faut pas baisser les bras rien n'est encore trop tard. Thanks for honesty first. You're absolutetly right saying the mirror got two faces. We, algerians, are aware about, we're even harsher than your words, period. The first point one is to mention is that's a freakin' TV show, a local mainstream you know. Well, I wasn't in front of the screen, for I've no TV and I hate it, but I can imagine how "positive" was the fluffy pink cloud mood. The second point one is to bring is all about frustration. We have our pride's arse kicked by nearly everyone's opinion all over the world, which we only half deserved. Hearing some positive stuff about Algeria is as rare as a blackfoot's waltz. You're living in Algeria since five years. I bet every single guy you met was to show you How unknown beaut Algeria is, at first. The at second thing showed up when intimacy and confidence shines. It's both prudery and acknowledgement lack. The cut worm forgives the plow, sang old Tom. Well, even big Waits stole William Blake's words. No one is perfect, see ^^. Thanks again and have a good one. Merci monsieur pour vôtre amour a l Algérie, merci pour vos témoignages, merci a vos yeux qui brillent lorsque vous parlez de mon pays, merci a vos sentiments et un grand merci a vôtre âme qui a su comment côtoyer les âmes Algérienne. C est un honneur pour nous que vous soyez parmis nous. Une Algérienne qui est fière de l être. Nice. Thans you for your love of algiria. Merci et comme vous avez dit l'Algérie sans les algériens c'est un pays comme les autres. I just don't understand why they find I so weird for a foreigner to like our country! Algeria is an amazing beautiful place with great people and a huge history! And I personally feel so proud of it and I completely understand why anyone would love Algeria and enjoy living here! Bonjour monsieur donc je veux remercie pour toutes les informations et les merveilleuses photos\védios que vous nous fournissez. J'ai découvert la vidéo de l'émission par hasard sur YouTube, moi qui ne regarde pas dutt la télévision. J'ai été à la fois émerveillée et triste. D'ailleurs je l'ai partagé sur mon espace facebook où j'ai rédigé mon point de vue après avoir suivi cette émission. Je le répète encore une fois j'ai bcp aimé votre façon de parler notre langue avec nos expressions et TT à un moment donné je me disais oh mais on l'a flashé ce gars il est plus algérien que Americain hhh et surtt qd vs disiez "Hna" pour parler d'Algériens car ça prouve juste votre intégrité, votre bonne intention et votre amour pour ce pays que j'espère vs le rendra aussi bien. Enfin je vs souhaite une bonne aventure chez NS. L'Algérie est l'un des plus beaux pays au monde et NS algériens NS avons un GD coeur au fond malgré que NS donnons tjrs cette image du dur à cuire. I just want to share an experience that may surprise many. I had the opportunity to live in London where many communities live in harmony, and i have met many people of different nationalities and religions, who wished to live in Algeria, some of them had their own story related to Algeria and others had just met Algerian people and loved their personality. 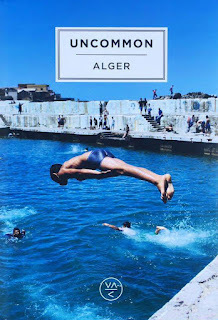 The most surprising, one day, i was invited to a BBQ and had met a french girl, when i told her i was an Algerian born and raised in Algeria, she joyfully replied "You can not imagine how happy i am that i finally met a real Algerian" it was quite strange to hear her words "A real Algerian !!" for one second i though, for what on earth someone would want to pass for an Algerian, but she actually meant not French/Algerian, and her happiness came from her Grand Mother' endless stories about Algeria. However, the point is not the country itself, or its people, its about motivation and willingness in life, people with a strong personality are not motivated by luxury or easy life like economic migrant. They are motivated by thoughtful reasons, goals in life and possibly faith. A Man without a Goal is like a Boat without a Steering Wheel in the Ocean, and Greatness comes from Difficulty. One last thing, when i came back home after eight years of a migrant life, the first thing i felt doing, when i landed in Algiers, was to kiss the the ground . Hope Algerian will wake up and starts seeing life from the right angle.